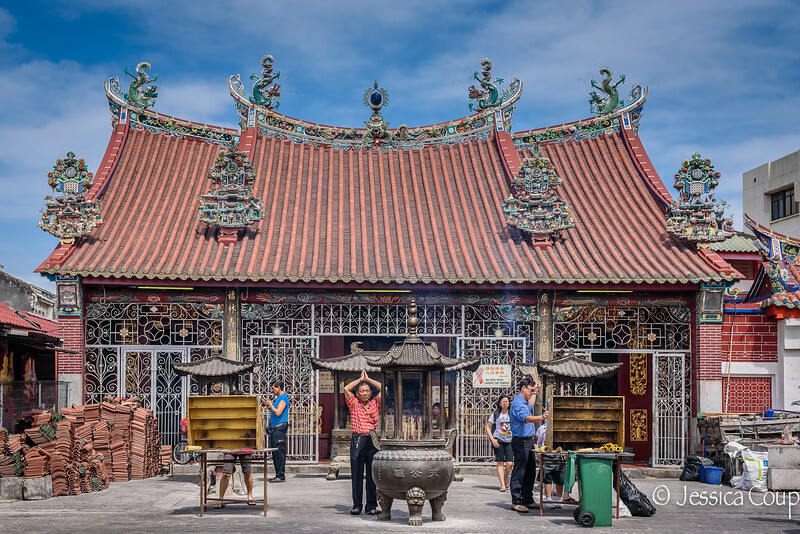 Penang has many religions and they comfortably coexist on the island in peace. It is not unusual to find a Hindu temple, a Buddhist temple and a Muslim Mosque all on the same street. A beautiful time to visit Penang is during the colourful Chinese New Year. The celebration is an amazing mixture of celebration, reverence and beauty. In the mornings I would see many people going to the temples to light incense, say prayers and leave gifts of fruit. Ogni mattina vedevo tanta gente recarsi ai templi per accendere l’incenso, fare preghiere e lasciare doni di frutta.